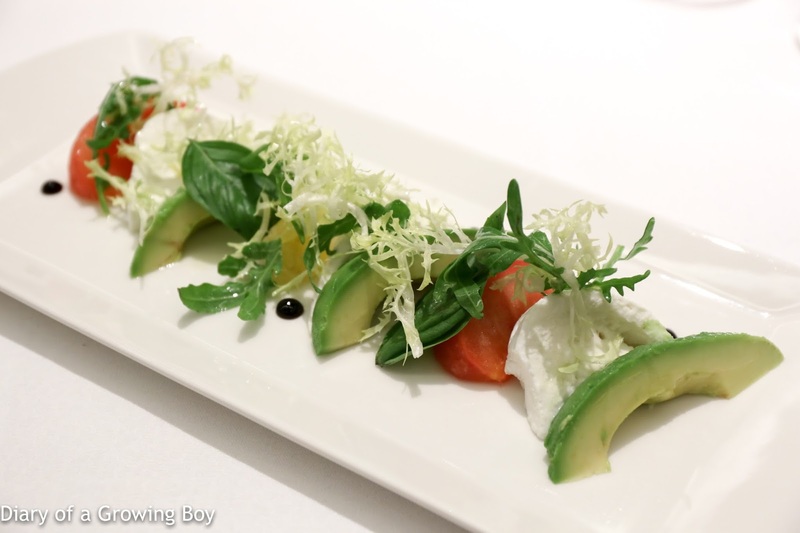 Tomato, avocado, buffalo Mozzarella, basil, extra virgin olive oil - the Mozzarella was pretty nice and soft, and the flavors of the basil were really strong. 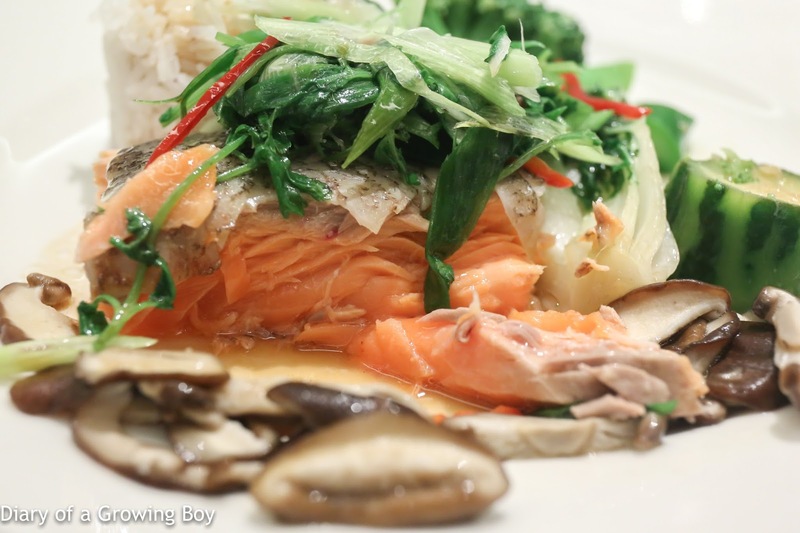 Whole poached ocean trout, ginger, shiitake, spring onions, soy sauce, white rice, oriental greens - this has become de rigeur for our dinners at the Hong Kong Club. A big fish from the ocean, cooked Cantonese-style with spring onions, ginger, and dressed with soy sauce. Tonight our fish was "only" 3.6kg, but that would be more than enough to feed the 6 of us! The others shared a couple of soufflés, but I resisted the temptation. I didn't need the extra calories. 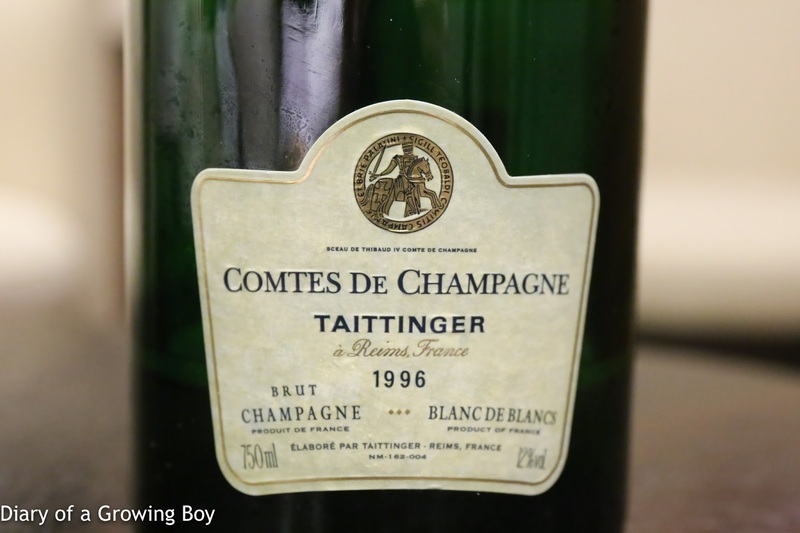 1996 Tattinger Comte de Champagne - very nutty and toasty, a little ripe on the nose, with a good acidity finish. Absolutely fragrant and beautiful right now. 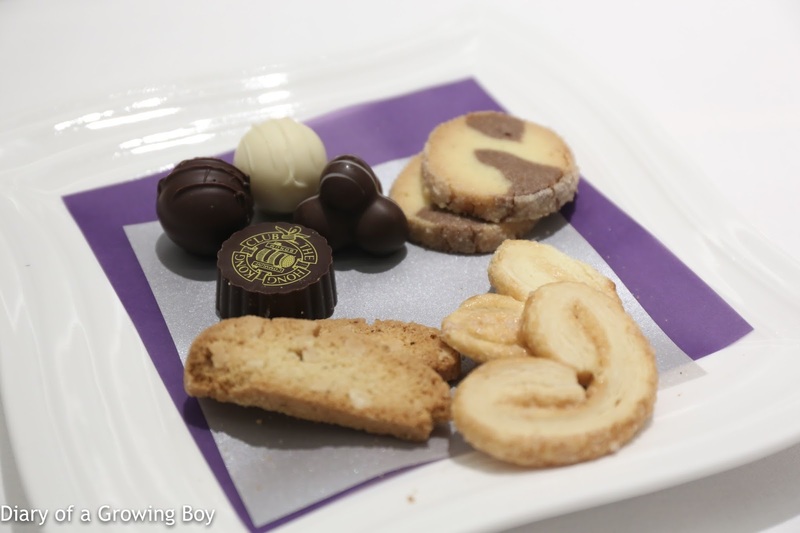 First flight: served 30 minutes after opening. 1970 Guigal La Mouline - very fragrant, sweet fruit on the nose. Slightly dry on the palate. Later on some coffee and mocha notes. 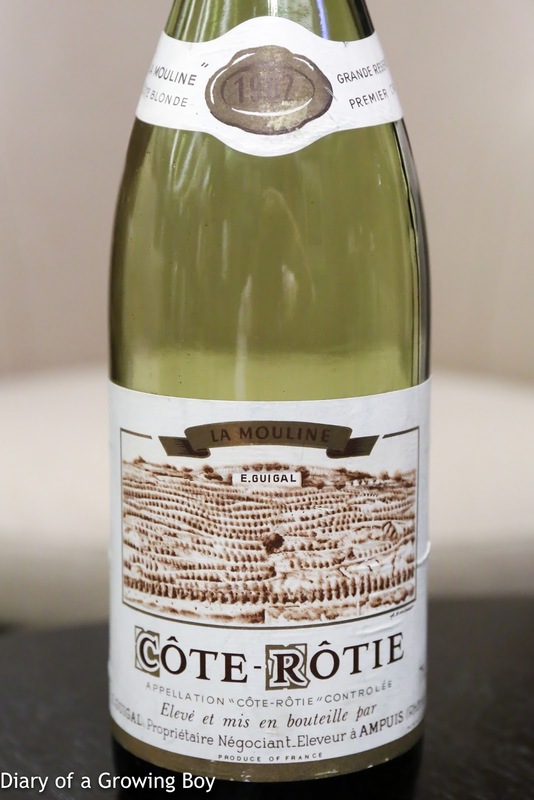 A really beautiful wine. 97 points. 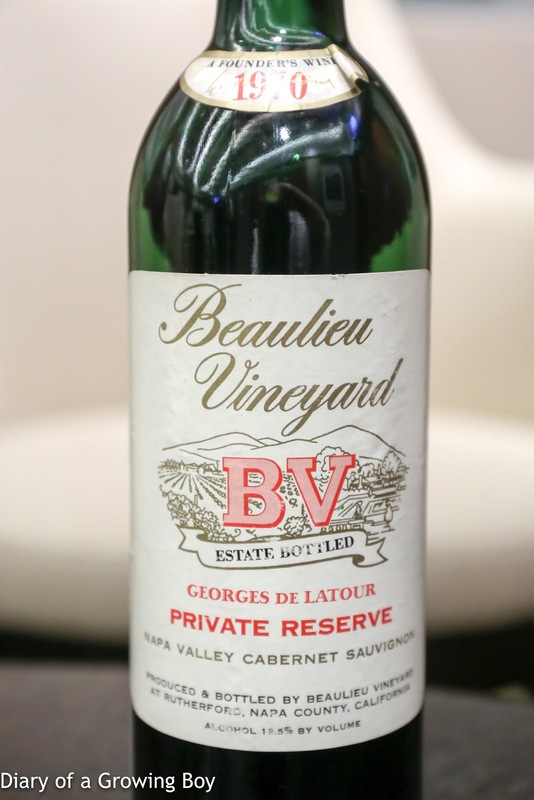 1970 Beaulieu Vineyard Georges de Latour Private Reserve - a little more savory, slightly more exotic on the nose. 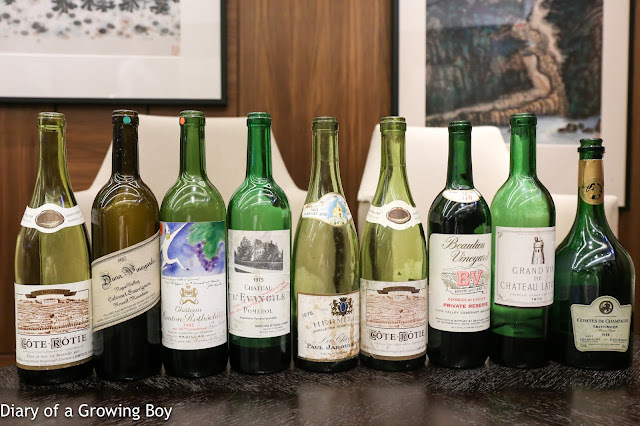 Some fruit, a little leather, slightly oxidized and caramelized. 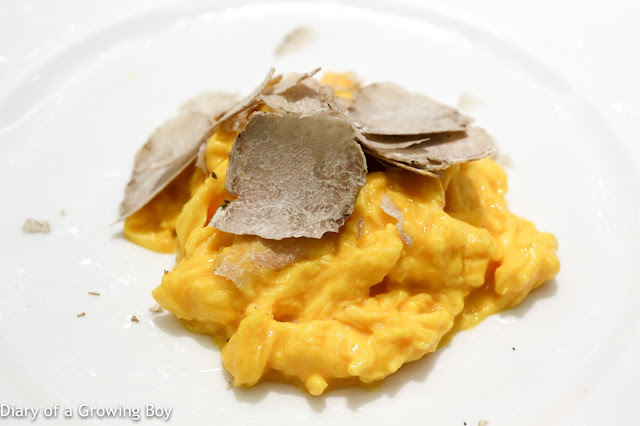 Very soft and slightly sweeter on the palate. 93 points. 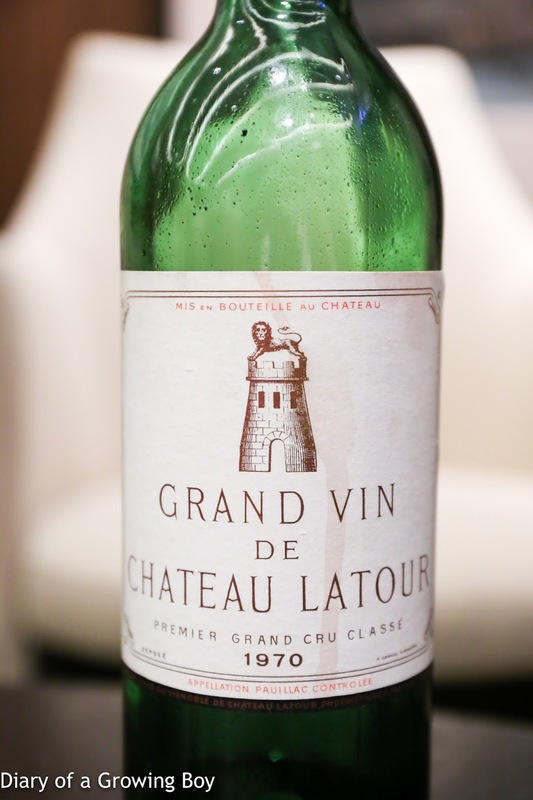 1970 Latour - very fragrant and beautiful, savory, slightly smoky, slightly earthy, with some fruit here. 96 points. Second flight: served 2½ hours after opening. 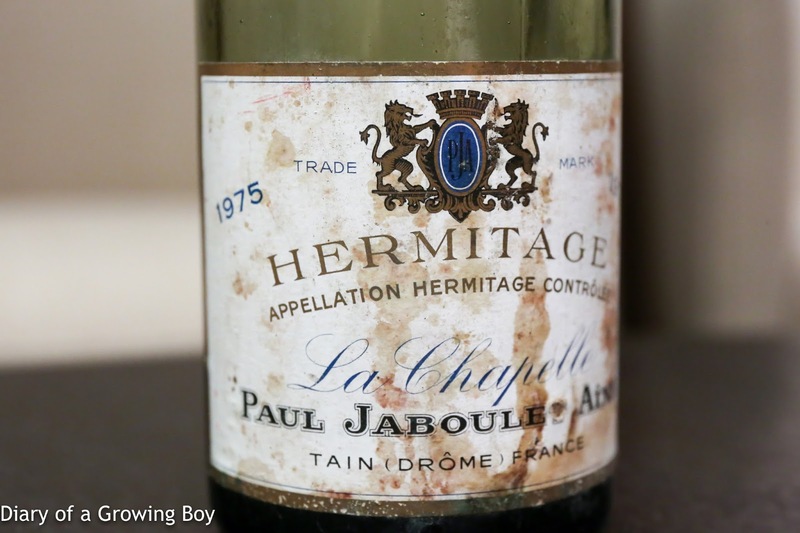 1975 Jaboulet La Chapelle - fragrant and clean nose, with ripe fruit, floral, minty, toasty, and cedar notes. 95 points. 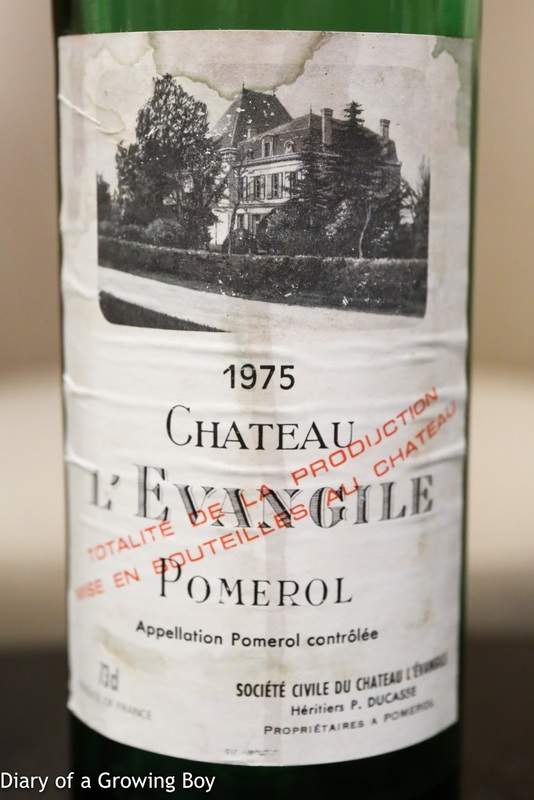 1975 L'Evangile - a little smoky, a little toasty. 92 points. Third flight: served 4 hours after opening. 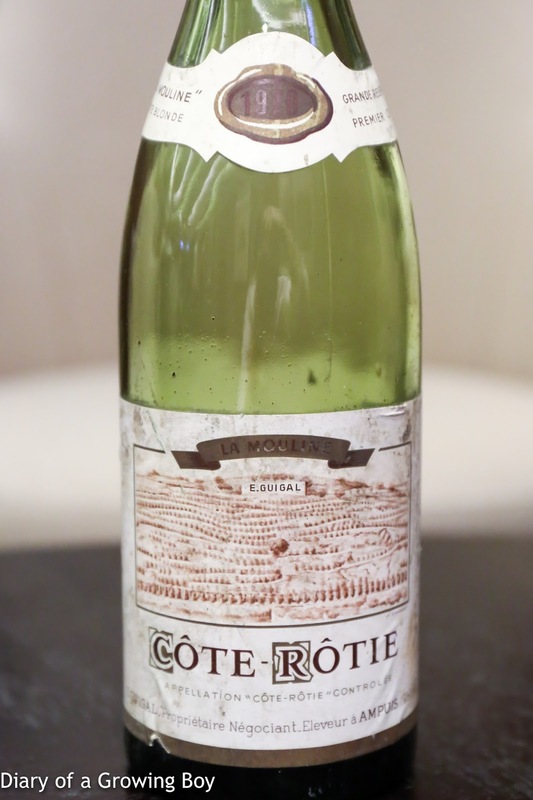 1982 Guigal La Mouline - sweet, floral and fragrant, slightly restrained nose. Later a little leather and cedar, with some toasty notes. Acidity a little high on the palate after a while. Very nice. 95 points. 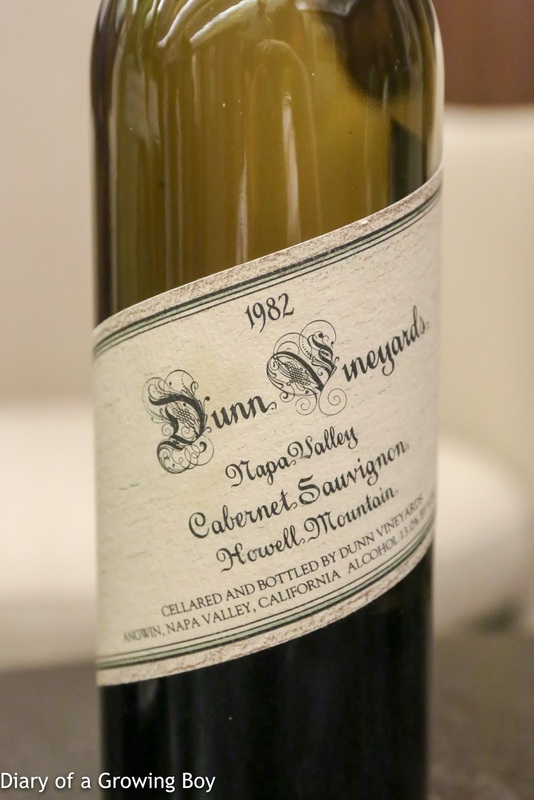 1982 Dunn Howell Mountain - a little pencil lead, some burnt rubber, chalky and dusty. Second pour showed lots of sweet and tropical banana. Kinda tannic and still concentrated. 92 points. 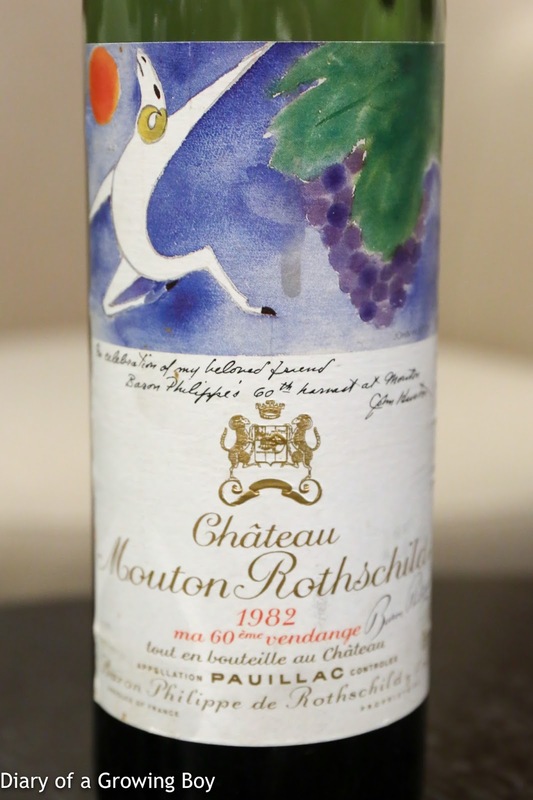 1982 Mouton-Rothschild - a little green pepper, sweet grass, with a little toast. Corked.